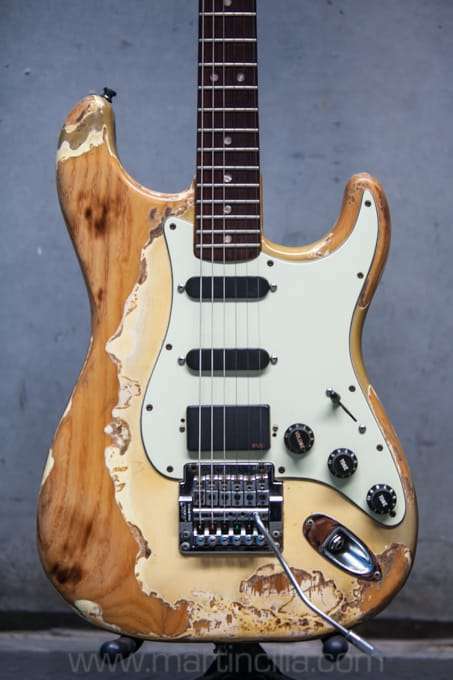 When I acquired this guitar circa 1990 it had already been modified with the Kahler tremolo and the wood at back of the guitar had been cut to make the body slimmer, now more like the thickness of an earlier model Strat, this also made the ash body lighter in weight. 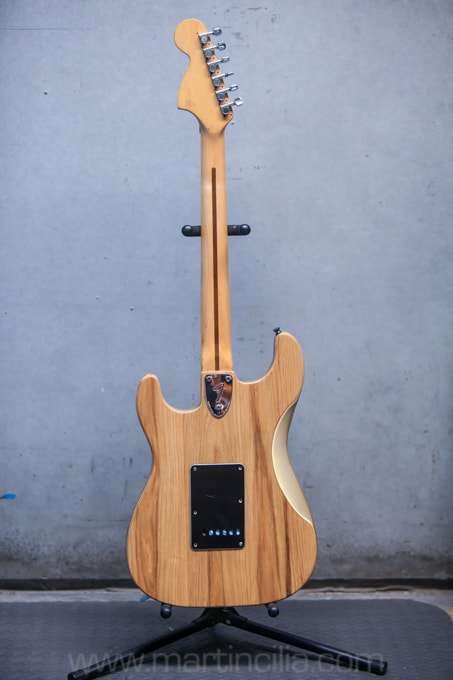 At the time I bought this guitar I was looking for a guitar for studio work. 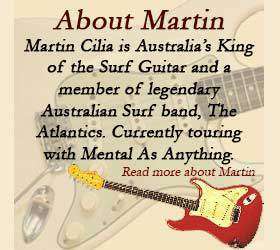 That’s when producers & studios were looking for the modern sounds of the day and the guitar was often recorded straight into the mixing desk or using a processor. My favourite processor was the Alesis Quadrverb GT. I installed EMG pickups 2 x SA & 1 x 89 (the 89 is a single coil & humbucker in one pickup) I changed the volume control pot to push/pull. 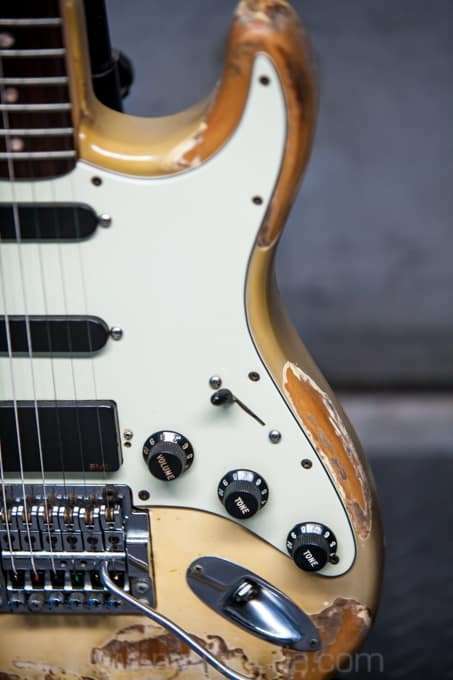 If I pull the control up it goes into humbucker mode and down is the usual strat sound. I installed the battery in the back cavity where the old tremolo springs were, this makes it quick and easy to change the battery. 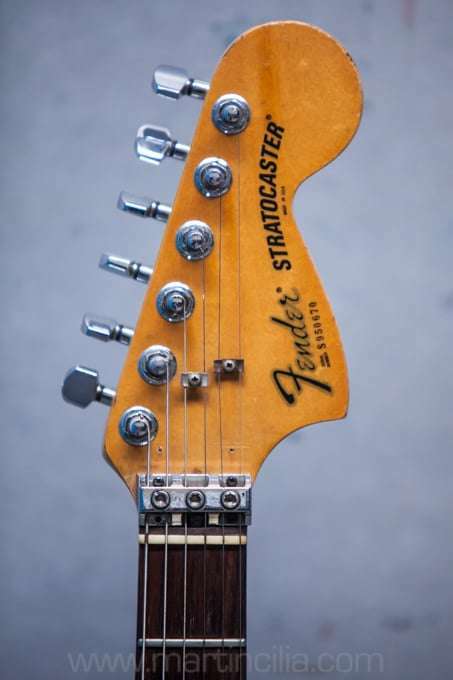 The guitar is strung with 10 – 46 gauge strings. 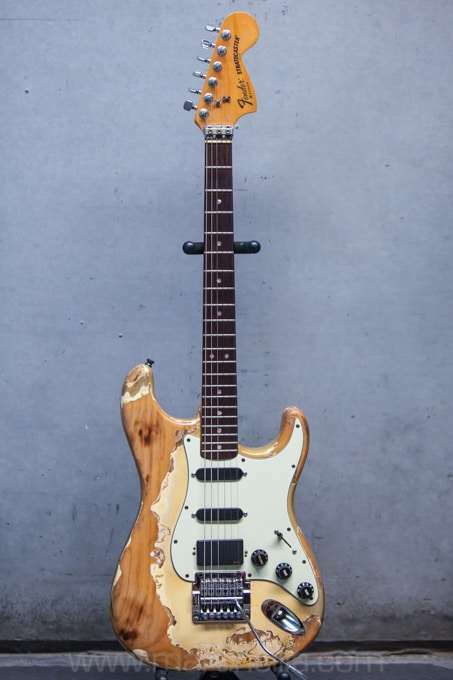 This guitar was used on many recordings in the 90s. 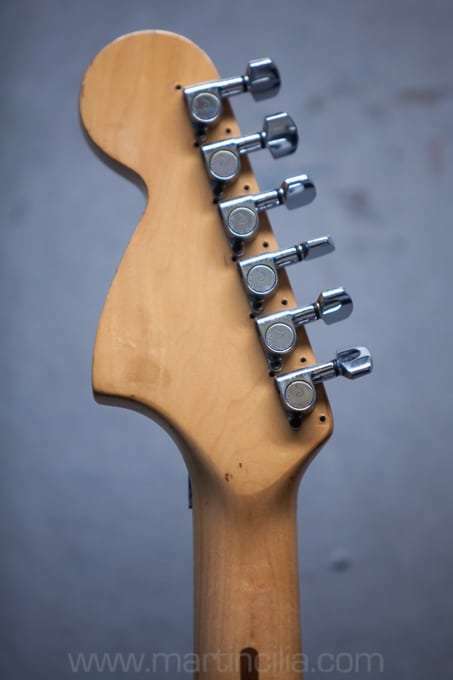 why did you downgrade the original split shaft tuners? I can’t believe it. 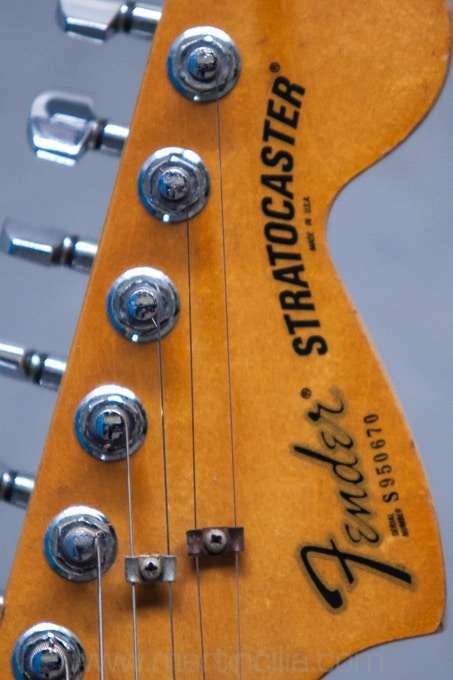 I have the same guitar….and put the same bridge on it. 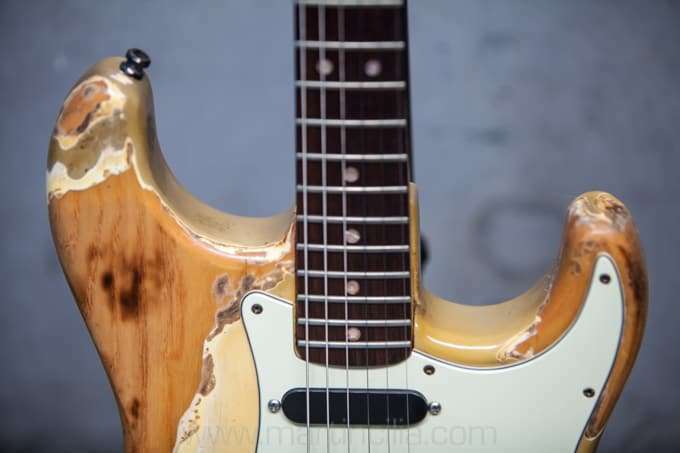 I was sorry I did that …and recently restored it to its original finish with a new factory spec tremolo bridge. Im going to send you some pictures.